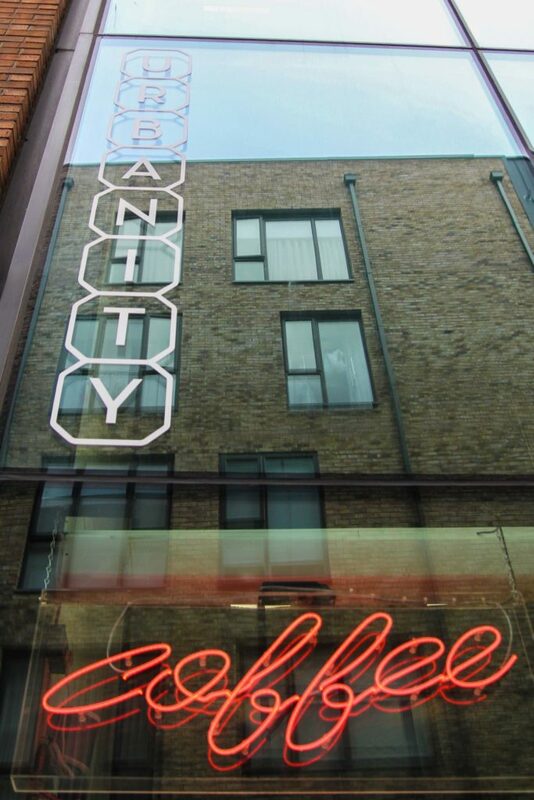 Smithfield's Urbanity started out making superb coffee. Now, it's also one of Dublin's finest casual dining restaurant. Urbanity truly is one of Dublin’s hidden gems. Located just off Smithfield Square, the owners have turned what was an empty shell into a bright, spacious, modern food emporium. 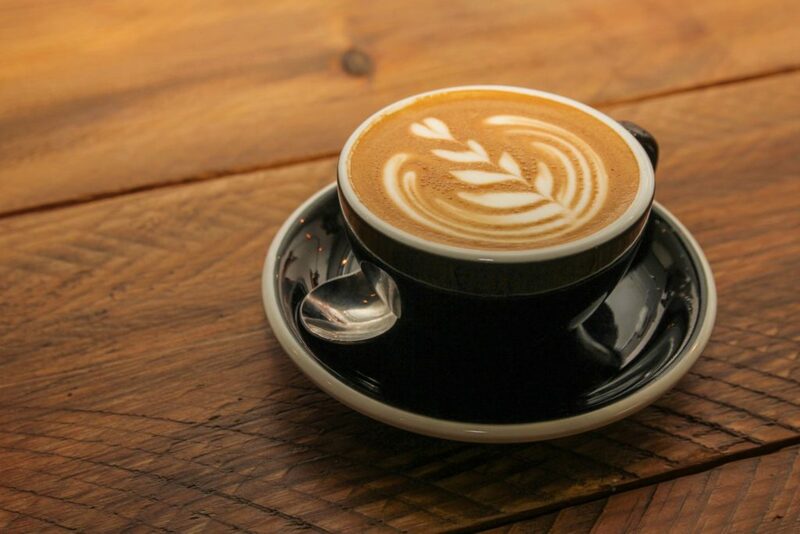 The result is the kind of brilliantly adaptable place which transcends the boundaries between casual-dining restaurant, coffee shop and coffee roaster. The beauty of it is that no matter what time you visit, there’s great food available – and brilliant coffee. It was as a mecca for superb coffee that Urbanity originally built its reputation. The coffee is roasted on-site and every bean could be traced back to the farm where it was grown. Each coffee roast has a specific recipe, and there’s a focus on naturally processed beans, and with bringing out the flavours in a really special way. Urbanity have also taken the same approach to food, becoming a superb evening place, as well as an excellent day-time restaurant. The menu is changed every month to keep things fresh and seasonal. They source their ingredients from some of Ireland’s best producers: outfits like McNally Family farms, Tartine Organic Bakery and The Village Dairy for organic milk and cream. There’s a wide range of influences at play, with chefs from around the world bringing their different ideas, experiences and culinary zest to the table. “We try to foster creativity in all of them,” head chef Rachel, formerly of Brother Hubbard, told Hot Press when we visited recently. 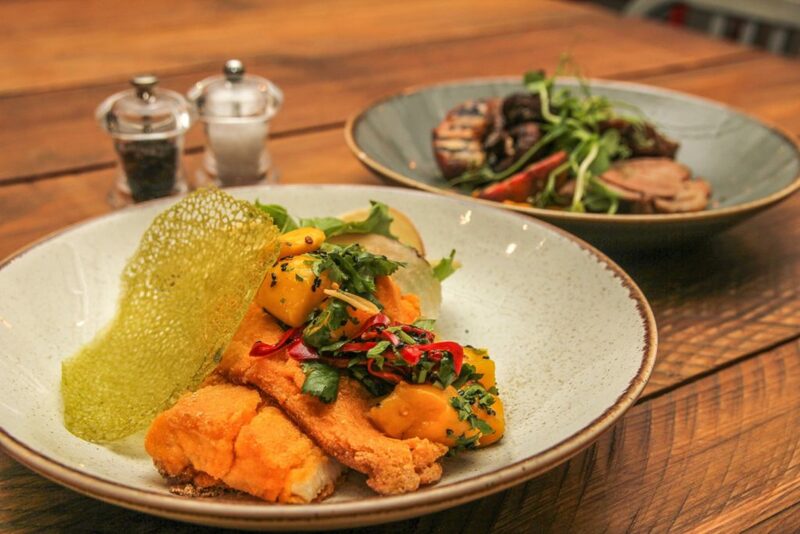 On the day, we tucked into a smart dish of polenta-crusted haddock, kohlrabi & beetroot, mango & sesame salsa, and basil tuille. It was divine and exceptionally healthy to boot! “We do breakfast, lunch and dinner, then brunch at the weekends,” owner Jason told us. “We have different specials every single day and we use fresh, seasonal, organic ingredients.” And they use the Coravin system for wines, ensuring that there’s a fantastic selection of wines available by the glass.